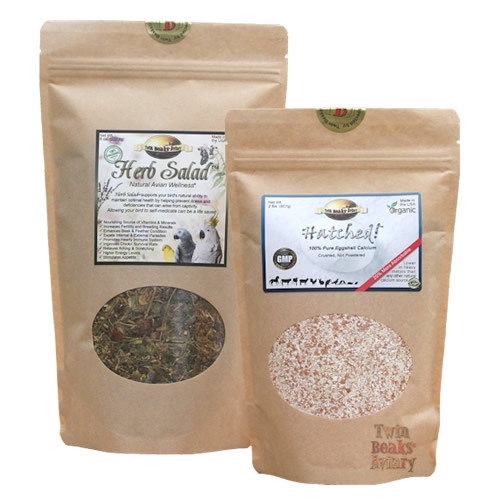 Twin Beaks provides premium quality dietary suppliments including Herb Salad and Hatched Eggshell Calicium. Twin Beak Aviary Hatched Eggshell Calcium is 100% pure eggshell calcium. There is no other calcium supplement product out there like this, you don't have to worry about under or over dosing your pets. It is human grade, crushed not powdered, eggshell calcium that is pure and sanitized.